Twin column regenerating dryers or single column absorption type dryers are used as standards. In twin columns systems hot gas is used to dry the wet column adsorption bed while the other column remains in operation. Switching between the two columns may be manual or automatic. 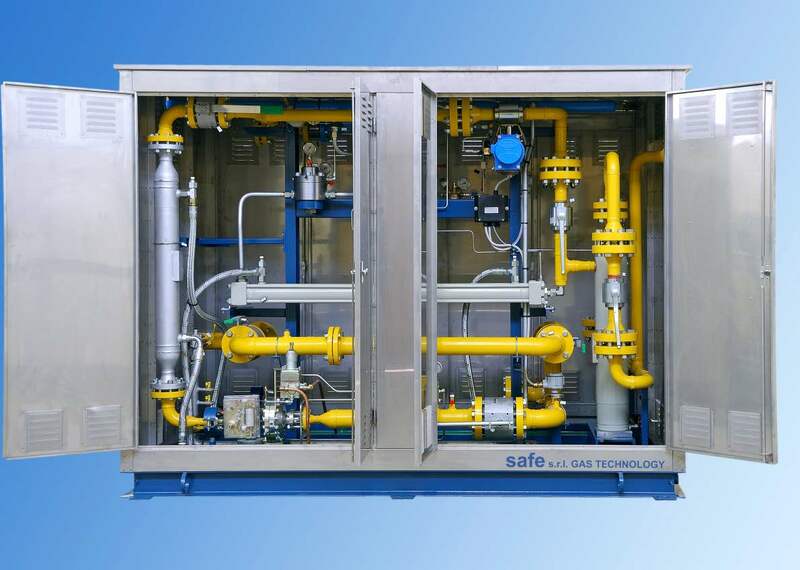 Dryers may also be equipped with gas analysis systems for a continuous monitoring of gas moisture content that may be used for automatic operation management. Metering and reducing cabins are custom designed and made upon the application’s specification. The Safe storage cascade system is divided into single to three banks: high, medium, and low. Any number of cascades can be connected together to increase storage capacity. Storages are usually supplied complete with priority and safety panel and may be enclosed in complete self supporting modular metal structures.